Some students go to college to get away from their mothers, but not Keith Carney! 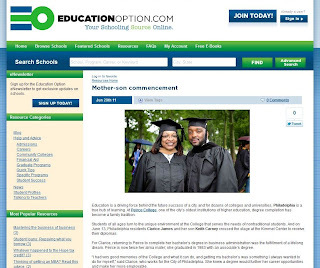 Keith, who served in the U.S. Navy, was inspired by his mother Clarice's return to Peirce College for her bachelor's degree in Business Administration. So he enrolled himself in Peirce's associate degree program. This mother-son duo both received their diplomas at this year’s Commencement ceremony. 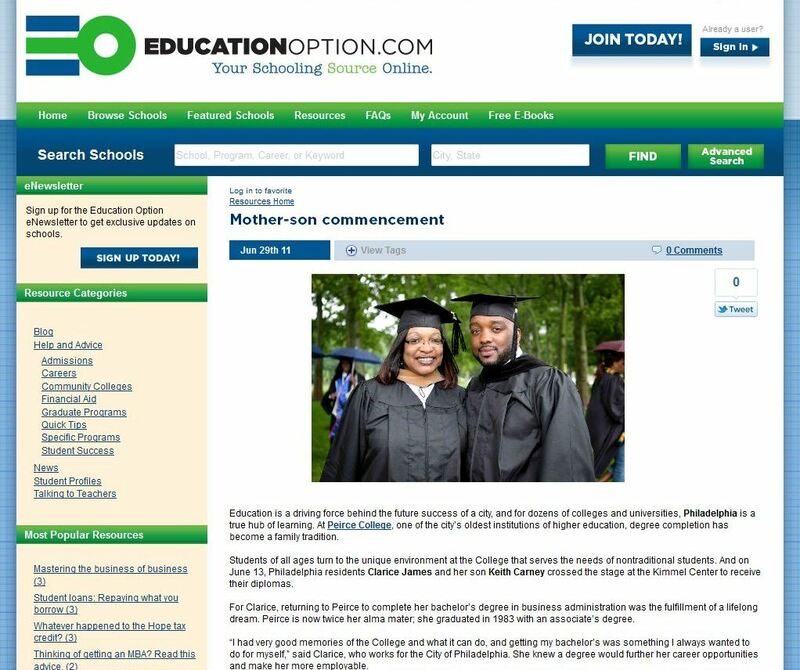 I shared Keith and Clarice's accomplishments in a contribution to Education Option. Together, Clarice and Keith embody the Peirce spirit. They prove that no matter your age, you can go back to school to accomplish your dream of earning a degree. We couldn't be more proud to call these two Peirce alums, and wish them luck in the next phases of their lives! Read their story in full by skipping over to the Education Option article.